It’s March. That means that for the 50% of the population who made a New Year’s Resolution to get healthy and lose weight, a large majority already consider themselves failing. 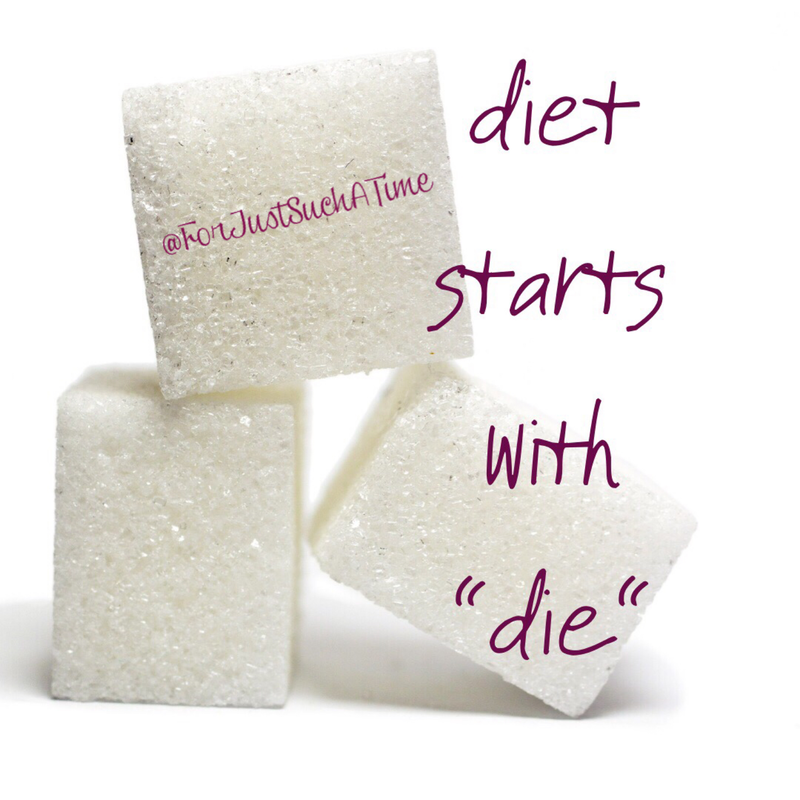 How many of us swore off sugar, carbs, or fat on the first of January and now find ourselves mired in cake and cookies? Or have been “donating” money to the local gym for 2 months. Can I postulate something? Perhaps there is a physiological reason as to why it is so hard for us to stick with these food plans and fitness regimens. Perhaps, just perhaps, our body has become trained to fail. Its very chemistry has become altered from its original healthy design to one that no longer functions well and thus craves, needs the very things that harm it. Stick with me for a minute. I’m not a doctor. I don’t even play one on tv. But I’ve done a significant amount of research, and I’ve picked up a few things. (Google is an amazing tool!) Sugar is addictive. The more we ingest, the more we want. The more we want, the more we ingest. It’s a vicious cycle. And like any other chemical addiction, the more we take in, the more damage is done and the harder it is to break the habit. So while it is possible to stop cold turkey, and some people are very successful with that technique, a lot of us need help. I was one of those people. I would try and fail and try and fail to break my sugar/carb addiction. I could go for a short while, would feel so much better, and then all it took was one bite to go spiraling back down in to the pit. Every time. When I finally figured out that my very body chemistry had been altered, it made sense to try to alter it back. You know, God is so good at always providing a way to succeed. For every thing that is “broken”, He has provided a way to fix it. And our bodies are no exception. Years ago, I scoffed at people who would suggest that plants and herbs and supplements could be the solution. It seemed hokey to me. It wasn’t hard enough. Surely, the only way to create change is through misery and despair. Right? After a couple of years for diligently replenishing my body with the minerals and vitamins it had been missing, I’m healthier than I’ve been in years. I have control over what I eat and when. I eat what I enjoy and enjoy what I eat. And I have energy to be physically active (though the drive is still a work in progress). I’ve lost weight, lost inches. My tummy issues (TMI!) are pretty much gone. My sleep (or lack thereof) is improved. I could go on and on and on. And while I’ve been doing this for a while, I had actually begun seeing improvements in just a few weeks!! And truly, it’s the easiest thing I’ve ever done. Sometimes improvement is hard and complicated. And sometimes, it just takes a small adjustment.